I’d give you peace if I could. But I can’t. I can give you advice. But that’s never wanted, and my advice could only come from my experience, which may not be yours. We should try, though, to bring peace to as many as we can, even if that means advice, and sometimes the best advice is that which we give ourselves on our inability to advise. Do we listen to our own advice? It’s worthless when offered to others when we heed it not ourselves. 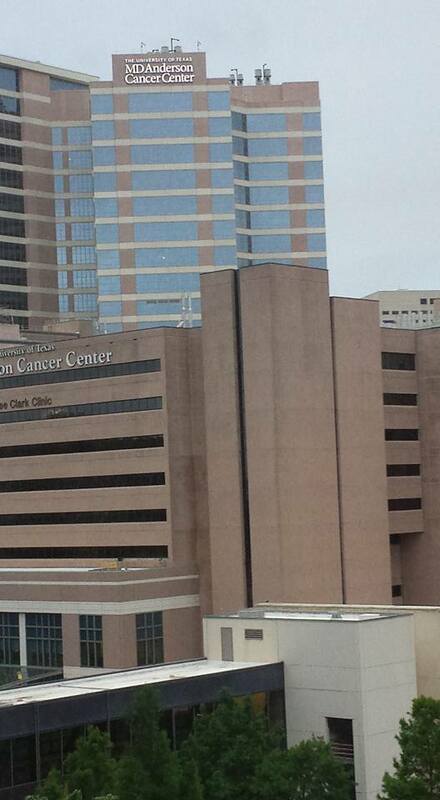 I am in Houston for my annual checkup. I see so many sick people here. It never fails to strike me in the most poignant way. Many of them would give me advice if I’d stop and ask them. Others would like to, but have no time for me, having no time for themselves. Their advice may be to grab the brass ring, to give it all you’ve got, to strive and struggle and fight for what it is that you want with every fiber of your being. Their advice may be to stop and smell the roses, to slow down, to experience the experience of being, of simply being in the place and the time one finds one’s self. Their advice may be to stop being so self-focused on our own fulfillment, to think of others, to serve others, and to love others. Their advice may be to roll with the flow, take each day as it comes, drink when you’re thirsty, eat when your hungry, and rest when you’re tired. Their advice may be that you can rest when you’re dead. I’ve gotten all this advice before. So have many of the patients here. There is some wisdom in each variety of the advice above. How we feel about it depends on the day’s news, the results of the latest test . . . or our estimation, however wrong, of the time we think we have left here, which is always a mistake. I wrote this haiku a few years ago. It was previously published on another blog written from this same place. On what is it spent? That’s a pretty good one, I think. Time is capital. Time is principal. Wisely invested, it can pay a handsome dividend, but then again, even wisely invested, outside influences can wreak havoc so that not only the dividend is void, the capital is lost. We are best programmed to determine how we have done, not how we will do, though we plan, and plan, and plan, sometimes like there is no end of tomorrows, and yet again like there is no tomorrow. I would hoard time if I could, and be miserly in its spending. But like anything hoarded, it soon goes beyond its expiration date, soars beyond its shelf life, and decays and rusts beyond use, as the time thus hoarded has no value because it cannot be spent, becoming worthless, having lost its value. Some have time but no money. Others have money but no time. Some have both. Some have neither. Some don’t think twice; they simply are. Some have eternity waiting. Some are always in a hurry, experiencing nothing as they rush to the something around the corner they then hurry past to rush around subsequent corners, never for a moment seeing the bird in hand. If you asked me and I was truthful, I tell you that I’d opt for time and money. That is the sum of most human desire….money and the time to spend it. But I’m not sure that brings peace, since how much money is enough, and how much time can one spend on monied pleasure before there is no satisfaction? I suppose the advice I’d give myself is to slow down and simply be. Others may not like that very much, having their own ideas of what my being should be like, but we all face that from others. Others full of advice, just like me. Have you noticed them, too? I will go into the Leukemia center in the morning and see many people with money and no time. Many of them are trading all their money for the hope of more time. I will see others with no money, begging for time, unable to pay for it, and those who are assisting them along the way. There’s a whole host of folks who are helping other folks out here. The thing everyone is looking for, though, is time. It is the most precious commodity of all. It never belongs to us, only loaned to us for a while. Its owner can declare time is up at any time, unmoved when he calls it since he owns time, he owns all the time. Time is never ours, only the moment which passes swiftly. If we miss the moment, we missed it all. What a waste of precious time. and the morning breaks eternal, bright, and fair. This song will follow me like my shadow all day. I will rejoice with every breath for the rest of my time until that day I hear the Ancient of Days shout out in a voice that reaches across the ages what may be my favorite words of all . . . Ollie Ollie ox in free!